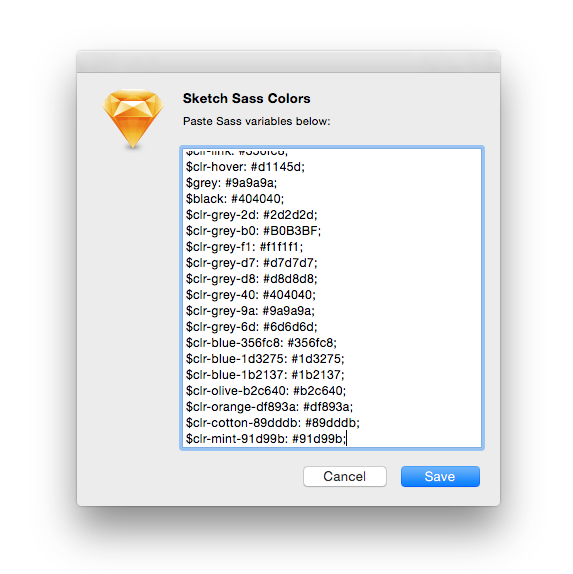 This plugin displays colors as Sass variables for Sketch. 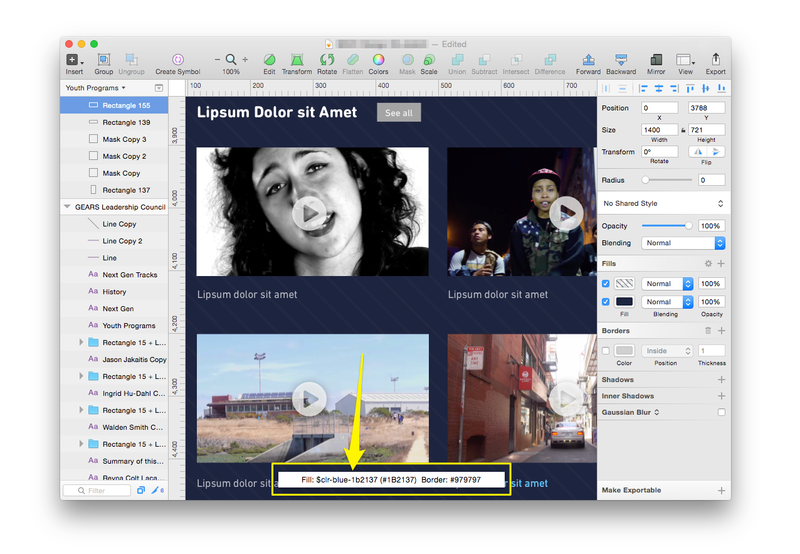 From the Sketch Menu bar, click on Plugins ▸ Sass Colors ▸ Configure. Copy and paste the contents of your Sass color variables. The Sass variable name and the matching colors will be displayed. arshad published this plugin 3y ago. v1.2.0 is the latest version.